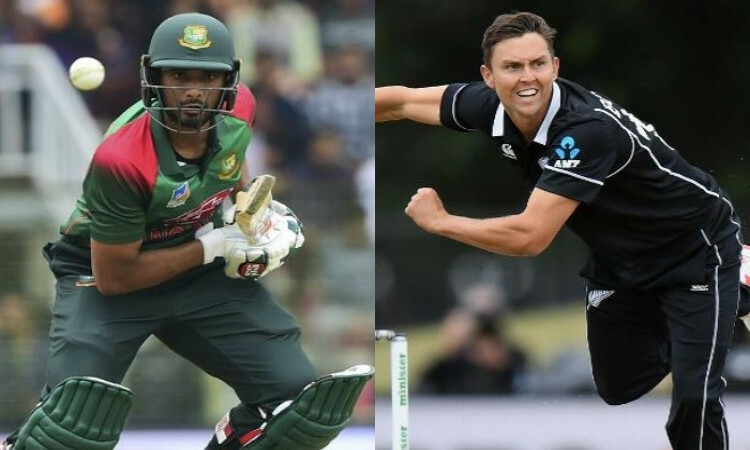 17 Feb,(CRICKETNMORE)। Bangladesh all-rounder Mahmudullah and New Zealand fast bowler Trent Boult have been fined 10 and 15 per cent of their match fees, respectively, for breaching Level 1 of the ICC Code of Conduct in separate incidents during the second ODI in Christchurch on Saturday. In addition, one demerit point each has been added to the disciplinary records of both players, for whom it was their first offence since the introduction of the revised Code in September 2016. Mahmudullah, when leaving the ground after being given out during Saturday’s match, struck the picket fence with his bat, while Boult used audible obscene words twice when his side was bowling. Both players pleaded guilty to the offences and accepted the sanctions proposed by match referee Steve Bernard and, as such, there was no need for formal hearings. The charges on Mahmudullah were levelled by on-field umpires Marais Erasmus and Shaun Haig, third umpire S. Ravi and fourth official Wayne Knights, while the charges on Boult were levelled by on-field umpires Marais Erasmus and Shaun Haig, and third umpire S. Ravi.